The FHT regularly contributes to national publications to promote the FHT, its members and the therapies they practice. FHT Vice President, Mary Dalgleish, has recently been featured in Issue 100 of Massage World, providing a case study of a client she had supported with reflexology. Using a technique called reflexology lymph drainage (RLD) Mary helped a client relax and sleep better. In addition, the FHT Governing Council supplied expert advice to readers about therapies for specific conditions. FHT President Paul Battersby supplied guidance on acupuncture and massage for back pain, FHT Vice President Mary Dalgleish covered aromatherapy and reflexology for the menopause, FHT Vice President Christopher Byrne looked at Amno Fu and acupuncture for gut and digestion issues, and Maria Mason offered advice on Indian head massage for stress and anxiety. 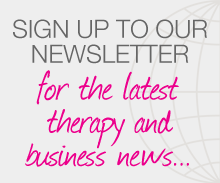 Read the full Complementary Therapy Special here.